This Public Interest Design Institute program has ended. Many thanks to our hosts and to new friends and old in Philly! 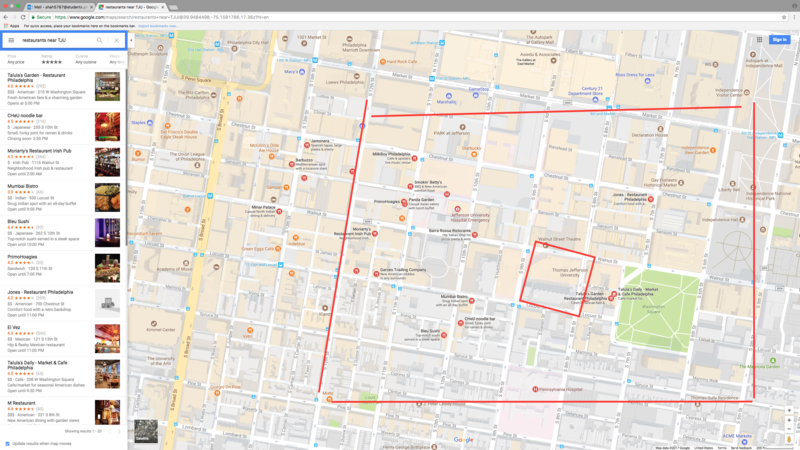 This two-day course was presented by Design Corps, the SEED Network, and the College of Architecture and the Built Environment & Lab for Urban and Social Innovation at Jefferson+Philadelphia University, Philadelphia, PA. Participants learned skills and methods to effectively engage in community-based design through professional fee-based projects. The Public Interest Design Institute curriculum is structured around the Social Economic Environmental Design (SEED) process and metric, which provides a guide for practice, documentation, and showcasing of public interest design projects. Successful participants earned 13 AIA/ASLA/USGBC/CLARB HSW CEUs/PDHs/AXPs and certification as a SEED Professional. Kim Douglas received a Master of Landscape Architecture from the University of Pennsylvania. Upon graduation, she joined Olin Partnership where she worked as the lead designer on several award winning projects, including the LEED certified Winter Garden and Plaza at the Comcast Center in Philadelphia. Kim joined Philadelphia University in 2009 as full time faculty in the department of Landscape Architecture where she is currently the Director of the program. She holds the Anton Germinshuzen Stantec Term Chair, which funds her research on the effects of contact with nature on children. 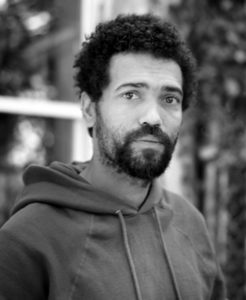 Kim is committed to confronting ecological as well as cultural and social issues that affect urban neighborhoods, particularly those in need of revitalization. 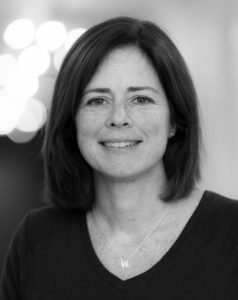 Sarah Endriss is the founder and principal landscape planner of Asarum LandDesign Group, a small Philadelphia based firm, and Adjunct Faculty with the College of Architecture and the Built Environment at Jefferson +Philadelphia University. As an expert facilitator of community engagement processes, Sarah works to reconnect people to each other and to their community by revealing and celebrating the ecology, economy, and historic and cultural identity of a place. With professional degrees in Historic Preservation Planning (BS, Roger Williams University) and Landscape Architecture (MLA SUNY-ESF), Sarah has spent her career working in the realm of public interest design, exploring and experimenting with methods of community engagement to generate real change, civic empowerment, revitalization, and healing. 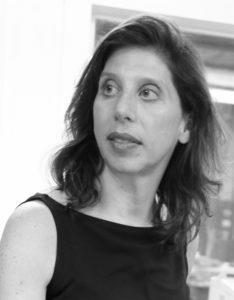 Deborah Gans is the founder and principal architect of Gans studio, a small firm in Red Hook, Brooklyn, NY, and Director of Research, Professor, and former Chair of the Undergraduate School of Architecture at Pratt Institute. Her firm’s projects include architecture, industrial design, and community-based urban planning, where she frequently tackles extreme sites and programs. Deborah has spent her career seeking new forms for architecture’s social participation and engagement. Much of her design work focuses on the challenges of housing, especially in relation to the underserved, where she has used her design speculation as a platform for policy change and the revitalization of communities. Deborah writes for both scholarly and popular publications and serves as Board Member for PLACES/Design Observer and the Institute for Public Architecture. Keir Johnston studied fine art at California State University at Northridge, and painted his first mural at the age of 18. He found the immense standing of the social impact and the profound community involvement an ideal way to express to a broader-reaching audience. Becoming an advocate on many social issues and community groups, he has worked collaboratively in the production of murals with life inmates at state penitentiaries, elderly, college students, youth in detention centers, elementary and high school students, mentally and physically disabled, and the general public through teaching workshops. 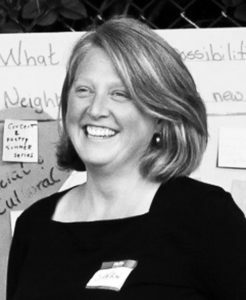 Beth Miller has been executive director of the Community Design Collaborative in Philadelphia, PA, since 2001. She has guided the Collaborative’s growth from a single full-time employee to a staff of six, and launched Infill Philadelphia, an initiative that uses design, community engagement, and strategic partnerships to address urban infill development. An unapologetic urban enthusiast, Beth currently serves on Center/Architecture + Design Board and the Plan Philly Advisory Committee. Beth served on the Philadelphia City Planning Commission (2011-2016). She holds a Masters in Government Administration from the Fels School of Government at the University of Pennsylvania and a BA in the Growth and Structure of Cities from Bryn Mawr College. Philip Szostak, FAIA, is the Founder and Principal of Szostak Design, Chapel Hill, NC. Phil has over 30 years of experience in a broad variety of architectural design projects. Phil’s design work has been widely acclaimed, garnering twelve state and regional AIA design awards in the past decade. Recent projects include the Durham Performing Arts Center; the Walltown Recreation Center in Durham, North Carolina; the Theater Annex in Durham, North Carolina, the Columbia Street Annex Residential Development in Chapel Hill, North Carolina; and the New American Home residential development in Raleigh, North Carolina. Phil is a graduate of NC State University’s School of Design. 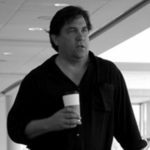 Prior to founding Szostack Design, Phil was the NC Principal for NBBJ, the country’s second largest architectural practice. Susan Thering, Ph.D. is Programs Manager at Design Corps. She has contributed to partnership projects in urban brownfield neighborhoods, rural “coal country” Appalachia, and remote First Nations reservations. Sue’s practice, research, publications, and teaching focus on documenting the outcomes of transdisciplinary and participatory community planning and design, with particular attention to social outcomes. 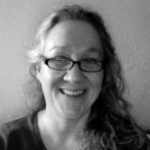 Sue holds professional degrees in Architecture and Landscape Architecture (BPS Arch, SUNY Buffalo & MLA Cornell) and a research degree in Environmental Science (Ph.D. SUNY-ESF). 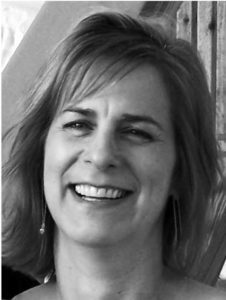 Prior to joining the Design Corps team, Sue was Executive Director of Design Coalition Institute in Madison WI. Prior to that, Sue was the Founder and Director of the Community Design Action-Research Group at the University of Wisconsin-Madison. 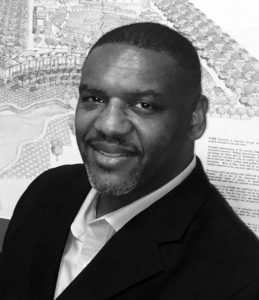 Howard Ways, III, AICP, is the incoming Director of Jefferson+Philadelphia University’s new M.S. in Real Estate Development program. Over the past 20 years Howard has managed over $960 million in mixed-use real estate development and capital improvement projects, and taught at Catholic University of America, Morgan State University, and Georgetown University. Since 2012, he has served as the Executive Director of the Redevelopment Authority of Prince George’s County, MD. Howard holds a Master’s Degree in City and Regional Planning from Morgan State University and a Bachelor of Architecture degree from Temple University. Howard attended the John F. Kennedy School for Government’s Senior, State and Local Government Officials Program in 2006. He is a member of the American Institute of Certified Planners and the American Planning Association. A SEED Award winning project. 3:15 – 4:00 Susan Thering, Ph.D.